Honda and Nissan have been banking on fuel cells and electric cars as the long-term strategy for sustainable mobility. Company executives are now warming up to plug-in hybrids. Since their introduction in the US in late 1999, hybrid cars have been repeatedly dismissed as a “bridge technology”—a euphemism for a short-lived second-rate technology that briefly serves a purpose until it can be replaced with something better and longer lasting. But in recent statements coming within days of one another, executives from Honda and Nissan are reconsidering the role that hybrids will play in the coming decades. Honda began leasing a limited number of its FCX Clarity hydrogen fuel cell cars last year, and still sees hydrogen as the long-term alternative to gasoline. However, for the first time, Honda executives are now speaking of hybrids and plug-in hybrids as a mainstream technology with staying power. Nissan is also beginning to consider plug-in hybrids. For both companies, the plug-in hybrid is seen as the next stage of hybrids and as the key to the technology’s longevity. Honda was banking on a transition to fuel cell cars, while Nissan was primarily moving toward the pure battery-electric vehicle. Honda began leasing a limited number of its FCX Clarity hydrogen fuel cell cars last year, and still sees hydrogen as the long-term alternative to gasoline. But Honda President Takeo Fukui believes that the cost of fuel will need to increase before hydrogen-powered cars are ready for significant growth. In an interview published by Bloomberg, he said, “Oil prices are going to go up. When that time comes, fuel cells, solar panels, hydrogen, those will be the key words. We will have packages that will be very competitive at that time.” In the meantime, he said the company is “thinking about plug-in hybrids.” He added, “We aren’t thinking about commercializing one right away.” Honda will need to modify its current mild hybrid system—or develop a new approach—in order to produce plug-in hybrids. The key question for both companies is how long it will take until electric cars and fuel cell vehicles can reach levels approaching the current hybrid market. After 10 years on the market, hybrids represent less than 3 percent of the new car market. Speaking at the Society of Automotive Engineers’ 2009 World Congress last week, Minoru Shinohara, Nissan corporate senior vice president, said that plug-in hybrids will be an important transition solution to the pure electric vehicle because they don’t need an extensive public charging infrastructure. The cost of building the public charging infrastructure will cost many billions of dollars; therefore, most analysts believe that it could take decades to construct. The government will today sign a memorandum with a second Japanese car manufacturer to promote the use of electric vehicles in Hong Kong, as part of its clean-air initiatives in the budget. The news was announced by Secretary for the Environment Edward Yau Tang-wah yesterday as he appealed to legislators to support the budget. “Not only can the extensive use of clean transportation improve roadside air quality, but it can also give rise to the birth of an electric- vehicle accessory industry,” he said. Mr Yau would arrive in Tokyo tonight to meet representatives of three car companies, an Environment Bureau spokeswoman said. One of the companies is Mitsubishi, with which the government signed a memorandum in February. Mr Yau would take a ride in an i MiEV car, a four-seater powered by a lithium-ion battery. One will arrive in Hong Kong next month for government departments to test its performance. The minister would sign a memorandum with another company tomorrow, with details yet to be announced, and meet a third company to discuss electric vehicles, the spokeswoman said. Mr Yau said the moves would help develop an electric-car market in Hong Kong. The government would continue to discuss with the business sector provision of battery-charging facilities and other infrastructure. He is to leave Japan on Sunday to visit the Canadian cities of Toronto and Ottawa, and Washington and Boston in the US for talks on other environment-related issues before ending his tour on May 1. Financial Secretary John Tsang Chun-wah announced in his recent budget a five-year extension of the registration-tax waiver for electric vehicles, to March 2014. A committee headed by Mr Tsang is to study problems relating to the introduction of the vehicles. California’s low-carbon fuel standard could lead to a national measure under President Barack Obama, as well as shape how the transportation sector evolves. But businesses and oil industry critics warned that more research is necessary and that its action would lead to higher costs for consumers in a recessionary economy. Large enterprises are unprepared for the inevitable coming wave of carbon regulation, a Gartner survey of businesses worldwide has found. Nearly half of those surveyed said their organization’s planning was not influenced by the prospect of carbon pricing or regulation, and another 36% said they were not sure what preparations their company was making. Gartner said the businesses were almost certain to be subject to carbon reporting and pricing in the future and now was the time to begin. IT management teams needed time to gather the necessary data to establish carbon tracking and reporting systems. A total of 45.7 % of respondents said that carbon pricing was not influencing their organizations planning, while just 18.3% said it was influencing their organization’s planning for the next 24 months. The international survey was based on a questionnaire sent to 626 enterprises about their plans for carbon reporting and pricing, and current and future implementation of carbon reporting or management systems. “While the number of enterprises using or planning to use carbon tracking systems exceeds those legally required to do so, given the inevitable requirements to support carbon reporting in the future, the percentage of enterprises preparing is low,” said Gartner research vice president Simon Mingay. Regardless of current regulations, enterprises should be building carbon information systems because pressure will inevitably “come down the supply chain to be transparent about carbon emissions,” Mingay said. When it came to preparedness for the next two years, the UK and France recorded some of the lowest percentages at 7.9% and 10.5% respectively, compared to 21.1% of Chinese and 20% of Indian enterprises. However, as a region Western Europe was best prepared – 32% said they had some kind of system in place, twice as many as Asia-Pacific or US businesses. A further question about whether organizations would be implementing reporting or management software during the next 18 months showed most were not yet thinking about how carbon pricing or reporting requirements will affect their business. “This apparent lack of preparation, and the inevitability that most enterprises will come under increased scrutiny from customers, investors, partners, key stakeholders and, eventually, regulators, should come as a wake-up call to policymakers, boards, senior leadership teams and CIOs,” said Mingay. “Despite the lack of specific regulations, midsize and large enterprises in developed economies need to recognize that they will be paying for their emissions at some point — it’s just a matter of when, how much and through what kind of mechanism. One of the main hurdles in the field of hydrogen car research is the development of a good fueling system. Professor Issam Mudawar along with his research team has developed a hydrogen storage system that would allow a car tank to be filled in five minutes and you can drive on that fuel for 300 miles. These hard facts posed a great challenge to the Purdue University research team. The heat effect has to be countered and the time limit for refill has to be shorter. For refueling they have used a very fine powder, known as metal hydride. This powder absorbs hydrogen very efficiently but can’t do anything regarding the release of huge amount of heat. Therefore a very good cooling system at all the refueling station is of vital importance. The research team was working on a solution which can do something substantial concerning heating. They needed accessory connectors that can work at the same time to take away the heat while refueling process was on. So the researchers have to overcome this hurdle and design an efficient heat exchanger. They have to be a pioneer in the field because no one had treaded on that path before. Keeping the complications in mind the team has developed a system where metal hydride is placed in small “pockets” inside a pressure chamber. They injected hydrogen in pressure compartments and it gets absorbed. But the wonderful thing is this reaction is reversible. Therefore the hydrogen gas is released from the metal hydride by lessening the pressure in the storage vessel. They fixed the heat exchanger inside the hydrogen storage pressure vessel. In 2008 CLP generated locally 38.71% more GWh than in 1999. To avoid having to comply with patchwork regulations from the United States, the European Union and other entities, a group of airlines is proposing a single global carbon emissions cap for the aviation industry. The cap, which would be based on the amount of fuel consumed by each carrier, would allow airlines to purchase credits from other entitites. An additional allotment of permits would be auctioned, with the proceeds to go towards the Kyoto Protocol’s adaptation fund for developing nations, development of sustainable aviation biofuels and a U.N.-backed initiative to save forests in developing nations in return for tradeable carbon credits, according to Reuters. The proposal comes from the Climate Group, a nongovernmental organization, and Air France/KLM, British Airways, Cathay and Virgin Atlantic. Those airlines recently started a coalition called the Aviation Global Deal Group, with the stated goal of seeing that any global climate treaty include an aviation component. The airlines are presenting their proposal to the United Nations April 6, with the hope that nations adopt a global plan by 2013. 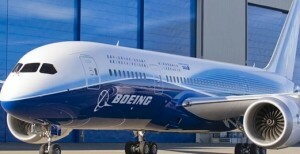 The European Union has a comprehensive aviation emissions cap set to take effect in 2012. The Association of Asia-Pacific Airlines estimates the global aviation industry emits about 650 million tons of CO2 annually. The United Kingdom will allow its Environment Agency to fine UK airlines that don’t meet strict emissions standards, according to a news report. Recently, the UK had indicated the Environment Agency would supervise a scheme to cap aviation emissions in England and Wales. For all of the European Union, starting in 2012, CO2 emissions from aviation will be capped at the average 2004/06 levels. This will be applied to all flights arriving and departing EU airports. In other aviation emissions news, Boeing has devised a landing program that cuts fuel use and emissions by giving aircraft tailor-made arrival paths, according to a Reuters story. Boeing carried out tests of about 1,000 flights into San Francisco International Airport. Using Boeing 777 and 747 aircraft, the Tailored Arrivals system helped airlines cut fuel consumption by 1.1 million pounds and carbon dioxide emissions by 3.6 million pounds over one year, Reuters reported. Because of increased costs for air carriers, business travelers to Europe likely would pay higher airline fares after implementation of a European Union requirement for airlines to buy carbon credits to offset their emissions. Because of increased costs for air carriers, business travelers to Europe likely would pay higher airline fares after implementation of a European Union requirement for airlines to buy carbon credits to offset their emissions. Last year, the EU proclaimed that most flights touching down in Europe would be covered by a trading system for emissions of greenhouse gases. With the EU pairing each airline serving Europe to a single nation that would collect payments, it appears Britain would gain the most, based on the number of daily international flights there. France and Germany would benefit to a lesser degree, according to the International Herald Tribune. The International Air Transport Association, an aviation lobby group, claims the system will cost nearly $5 billion each year to comply, according to the article. The United States reportedly is withholding comment on this issue as the Obama administration reviews climate change policies. Critics claim the EU carbon trading system is not reducing carbon emissions. Germany’s Green Party, for instance, insists that despite the many benefits of carbon trading, investing in renewable energy is the most cost-efficient way to cut carbon. airplane3-17-08.jpgU.S. airlines must join the EU emissions trading scheme or an equivalent system in the U.S. or they could face fewer flights to the European Union, Jacques Barrot the EU transport commissioner, has warned, according to the Guardian. All airlines flying in and out of the EU must join the scheme but the International Air Transport Association has warned that 170 countries oppose the move. European carriers want foreign rivals coopted on to the scheme because airlines who refuse to buy carbon credits will offer lower fares. In June, a group of six associations representing European airlines published a study that found airlines would have to spend over $60 billion between 2011 and 2022 buying up credits from more fuel-efficient industries to meet their quotas. Airline emissions were not part of the Kyoto Protocol’s targets for reducing greenhouse gases. Limits on airlines were left to the International Civil Aviation Organization, a United Nations agency. In September, the IACO passed a resolution opposing plans to include foreign airlines in the scheme. More nuclear energy from the mainland is an option to meet demand for new power-generation capacity in six years’ time, CLP Power (SEHK: 0002)’s managing director said yesterday. Outlining the company’s road map for the next decade, Betty Yuen So Siu-mai said that if energy demand grew by 1 to 2 per cent a year, new generation units would be needed between 2015 and 2017. She said one option being considered was to import more nuclear energy from the mainland, which has vowed to increase the proportion of nuclear-generated energy from 2 per cent to 5 per cent by 2020. Since it takes up to eight years to plan and build a nuclear plant, Mrs Yuen said it was time to start engaging the public on the future energy road map, including an appropriate fuel mix. CLP Power imports 31 per cent of its power from the Daya Bay nuclear plant in Shenzhen. This supply will be extended by 20 more years after 2014 under a cross-border agreement reached last August. Mrs Yuen said building a nuclear plant was more expensive than a gas one but could eliminate the impact of fluctuations in the price of fossil fuel. She said that gas would continue to play a dominant role, accounting for at least half of generation, compared with 28 per cent now. This will be done by retrofitting coal units to burn gas and the timely completion by 2013 of pipelines linking its Black Point Power Station with a proposed Shenzhen container terminal in Dachan Bay. This facility would receive natural gas imported from Turkmenistan in Central Asia and liquefied natural gas shipped from elsewhere. CLP would buy gas from the Shenzhen storage plant, supplementing its existing source from a gas reserve in Hainan, which would be drilled further to boost supply. Mrs Yuen said they had to take contingency measures in designing the pipelines as any breakage would put the city at risk of a blackout. With increasing use of gas and nuclear fuel, Mrs Yuen said the role of coal would be diminished and mainly be used as a backup for emergencies. Coal accounted for 48 per cent of generation last year. Mrs Yuen said the proportion of coal could eventually be lowered to a quarter. About 20,000 businesses that use large amounts of power, such as restaurants and hotels, will have their meters replaced with “smart” ones that will enable them to monitor their consumption online, Hongkong Electric (SEHK: 0006) has announced. The data fed by the meter to a business’ computer network can help the business come up with ways to reduce energy bills by as much as a few per cent, the utility says. A hotel, for instance, could decide to run its laundry at night instead of during peak hours. “It will be a useful tool for our users to understand their power consumption patterns at different time intervals,” Hongkong Electric manager Ip Pak-nin said. Hongkong Electric installed the meters for about 4,000 commercial and industrial users in 2002, Mr Ip said. It would install 20,000 more for other users that consume about 20,000kW a month. Smart meters take a snapshot of consumption levels every 30 minutes and transmit the data to the users’ computer network. Businesses can check whether energy-saving measures are working by comparing levels against previous baselines. They can also receive suggestions on how to reduce consumption through other adjustments. “It will be a useful tool for our users to understand their power consumption patterns at different time intervals. The data will help them formulate energy conservation measures accordingly and gauge the success of these measures,” Mr Ip said. Bills for heavy users are calculated differently from those for the public. They are charged not only for kilowatts consumed but also on the basis of their energy demands and when they are made, which is referred to as “maximum loading”. Hongkong Electric said that if businesses could reduce maximum loading, they could potentially cut their power bills by a few per cent. Currently, 1,800 top power users, or those accounts consuming no less than 25,000kW a month, pay a maximum demand fee on top of the charge for units used. The fee accounts for 10 to 20 per cent of a heavy user’s bill. Hongkong Electric has invested in the city’s distribution and transmission infrastructure. The smart meter replacement will start later this year and take about 10 years. Meters approaching the end of their life span would be given priority to avoid waste, Mr Ip said. The smart meter has a life span of about 15 years, half of the mechanical meter, and is also three times more expensive for Hongkong Electric, although it saves the utility money as staff are not required to read the meter on a regular basis. Mr Ip said they had no plan to introduce the smart meters to homes since their consumption was lower and the basic energy-saving measures, like the use of more efficient products, were sufficient to help them conserve power. He said the utility would continue to provide advice to the public on how to conserve energy. Under the new scheme of control agreed last year, the power firm will receive an extra combined total of 0.02 per cent of the rate of return for completing at least 50 energy audits, and achieving a saving of no less than three gigawatt hours a year.